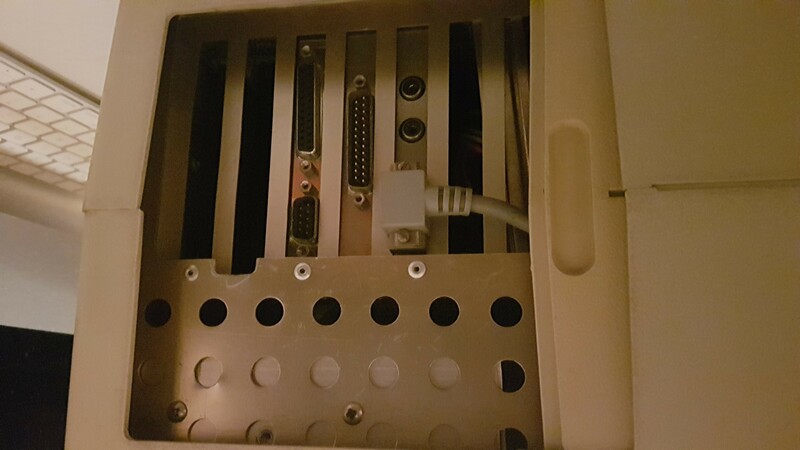 In my loft there is a computer with no branding that needs a new CMOS battery, and one that has the branding 'Tri Data' which I can't find anywhere on the internet. It just shows a white screen as well and the keyboard doesn't want to work. This is one of dozens (hundreds?) of luggable designs that came out of Taiwan and other far east nations in the late 80s/early 90s before everything reverted back to the AT case style. The case was generic and you could put in any compatibly sized mobo, which were also widely available. The "Tri Data" might be a local company or computer shop, anyone could build these and put their label on them. Around 1989 I was selling something similar, but without the knobs at the bottom. IIRC I was called "Compall", and was not related to the modern Compal. 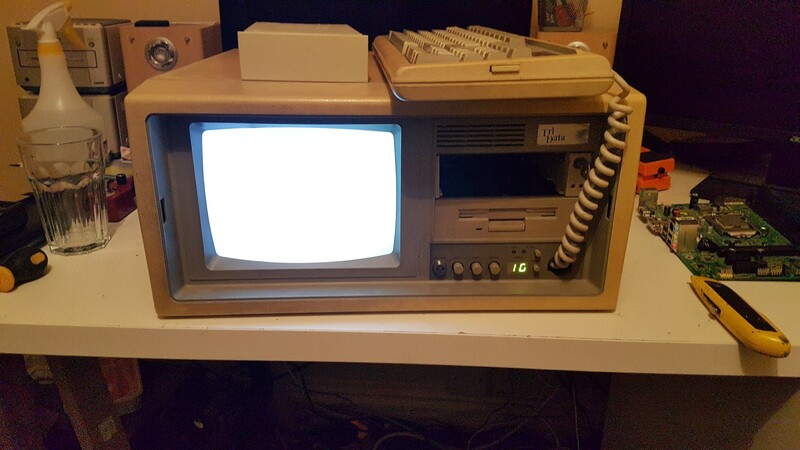 This looks like a generic, Compaq style schlepable build from standard components with the Elitegroup HM386SX as a typical generic Heatland 386SX chipset based motherboard. I would date it as early to mid 1990s. BIOS should be an AMI one. Not the answer you're looking for? Browse other questions tagged identify-this-computer portable or ask your own question.